There is nothing quite like a blue whale fluking in front of you especially for someone as crazy about marine life as I am. First an exhalation as the whale gets ready to dive, the spout misting the blue horizon as its bulk moves seamlessly, grey through the water. After a few breaths at the surface, the ludicrously small dorsal fin arched through the water as the immense creature, the largest to have ever existed in the world’s history, propels itself into a dive, giant flukes cresting through the water as it sounds. 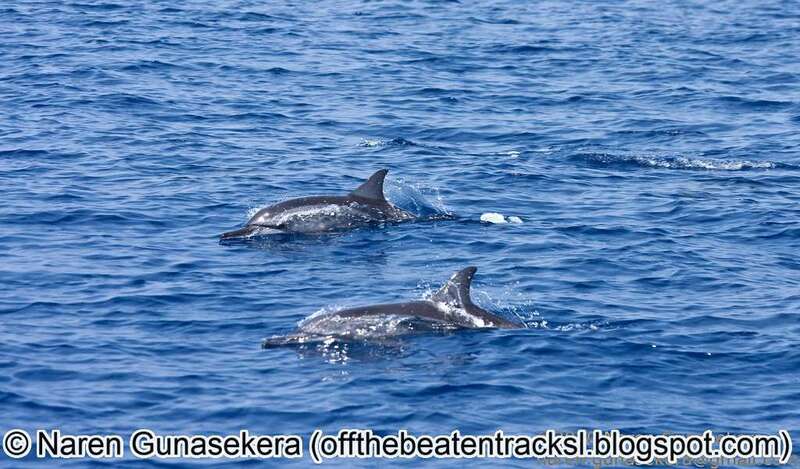 This is the experience that has been drawing visitors to the southern coast of Sri Lanka for the past few years during the season from November to April. Many people have enjoyed sightings of blue whales and a wide range of marine creatures such as sea birds and acrobatic spinner dolphins. 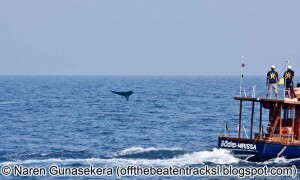 Guesthouses and hotels in and around Mirissa have filled with those eager to catch a glimpse of this ocean behemoth. With the increase in demand has of course come a proliferation of supply. 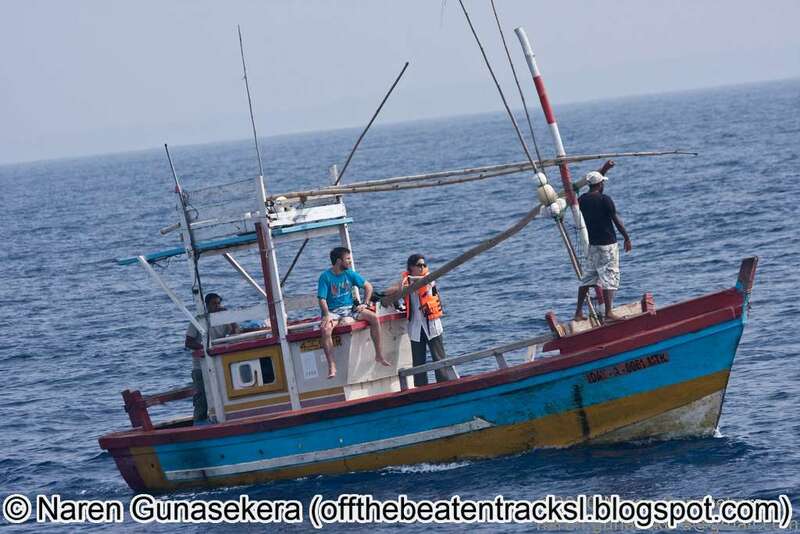 The dangers of an unregulated industry recently came to the world’s attention with an article in the New York Times, where a relationship was drawn by Asha De Vos (Sri Lanka’s foremost whale expert) between the harassment of the whale population by some operators and ship strikes and whale fatalities due to the whales being forced further out towards the shipping lanes. Balancing conservation and exploitation is and will always be of the most importance for tourism. 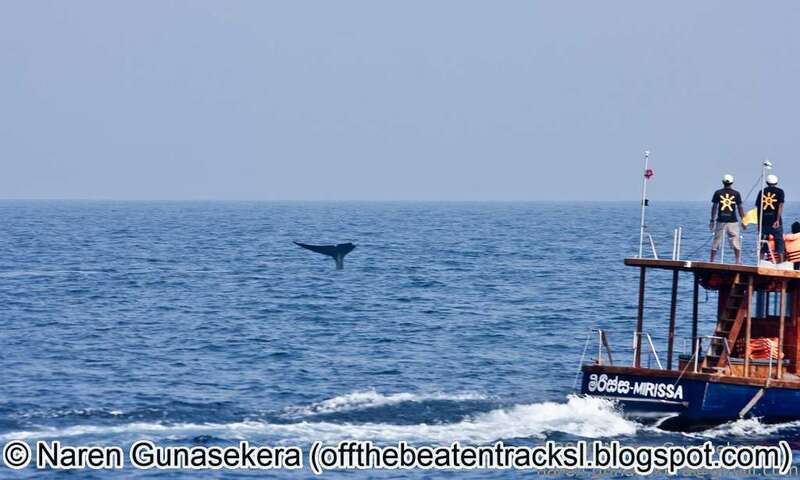 Sri Lanka cannot continue to attract tourists to see blue whales if the industry continues to put those same whales in danger. We at Red Dot are acutely aware of the need to be responsible towards Sri Lanka’s natural resources and client safety and are very conscious about the suppliers we use for our excursions. For whale watching we primarily use Mirissa Whale Watching which has time again been shown to be the industry standard for whale watching both in terms of minimizing impact on the whales and client safety. We continue to monitor their performance through our clientele and our network of chauffeur guides as well as through discussions with scientists like Asha to ensure MSW as it is known continues to conform to international guidelines on how to conduct whale watching excursions. We also advise our clients through our Responsible Travel Guidelines on how and why we work to ensure we minimize our impact on whales. Our chauffeur guides are also under strict instructions to utilize only MSW for such excursions. We may add operators in the future to this list but only after careful consideration and screening with personal visits and expert advice from scientists in the field. 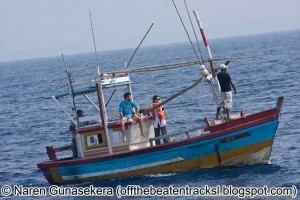 Here’s how you can be responsible in your whale watching activities; always use a well-known operator such as Mirissa Water Sports who sticks to important guidelines such as never driving head-on towards the whales or going closer than 100m (200m if there is more than one boat in the water). Be wary of operators or individuals who claim guaranteed sightings or multiple sightings. There is often no such thing as a guaranteed sighting in Sri Lanka. 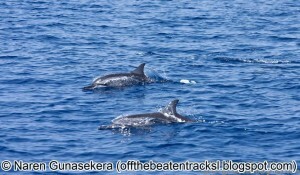 Those who claim or boast about multiple sightings are often operators who rush from sighting to sighting, thereby stressing the whales and scaring them into diving. The best experiences up close and personal can only be achieved with patience, respect for the whale and a little bit of luck. This is essential to ensure that the blue whales continue to delight and awe people for many generations to come.